„This series is a systematic presentation of a particular body of knowledge, which we call Diamond Mind, and its corresponding modus operandi, a way of working with people toward inner realization, which we call the Diamond Approach®. There are three volumes to date: THE VOID, PEARL BEYOND PRICE and POINT OF EXISTENCE. The presentation is somewhat technical, and hence will be useful to psychologists, psychotherapists, educators and spiritual teachers, but is also accessible to the educated reader. This work is a response to an important need that is being felt in many quarters, a need for a spiritually informed psychology, or conversely, for a psychologically grounded spirituality. This perspective does not separate psychological and spiritual experience, and hence sees no dichotomy between depth psychology and spiritual work. 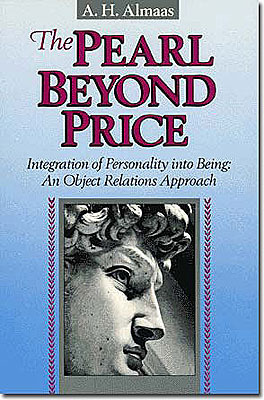 Through a creative critique and investigation, this system takes some of the elements of depth psychology, particularly those of ego psychology and object relations theory, and extends them into realms of the human psyche which are usually considered the domain of religion, spirituality and metaphysics. This body of knowledge is not an integration or synthesis of modem depth psychology and traditional spiritual understanding. The inclination to think in terms of integration of the two is dueto the prevailing belief in the dichotomy between the fields of psychology and spirituality, a dichotomy in which the Diamond Mind understanding does not participate. This knowledge includes an understanding of normal psychological functioning which also sheds light on some prevalent mental disorders. It adopts many of the findings of modern depth psychology, situating them in a more comprehensive view of man and also establishing their relevance for the pursuit of deeper truths about human nature beyond the levels psychology generally penetrates. The psychological understanding is set within a metapsychological perspective that includes a broad outline of the domains of experience and functioning of the human psyche or soul. This metapsychology is not spelled out in any one of the volumes of the series, but is gradually developed throughout its several books. This metapsychology is in turn set within a metaphysical outlook in which psychological experience is situated within a phenomenology of Being. This work demonstrates that what is usually considered psychological investigation can arrive at dimensions of experience which have always been considered to be the product of spiritual practice or discipline. The psychological work is seen here not as an adjunct to spiritual practice, but as a spiritual practice on its own. 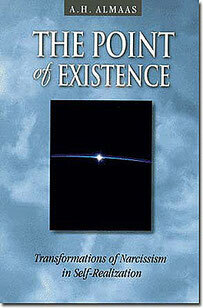 This is the specific contribution of the Diamond Mind body of knowledge which prompted the idea of this series. 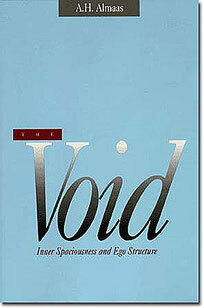 Not only can psychological investigation lead to realms of experience previously relegated to the spiritual, this work shows that when psychological understanding is refined by an openness to one's spiritual nature, such investigation, if pursued deeply, inevitably will penetrate into the realm of spiritual, religious or mystical understanding. In the course of such exploration one result is that many currently prevalent psychological dysfunctions, such as some forms of narcissism and schizoid isolation, are revealed as direct consequences of spiritual alienation, which thus cannot be truly resolved by traditional psychotherapy. This body of work includes a systematic understanding of the domain of spiritual experience, the realm of Being, that can be described in detail in modern psychological language. Thus it shows that this domain of experience need not be vague, symbolic or incommunicable. It also includes an exploration of the relationships between this domain of experience and the usual psychological dimension of experience, shedding light on the nature of ego structure and identity. Thus the dimension of Being can be included in some modes of psychological research and investigation. The presentation in the various volumes of the series attempts to illustrate methods of investigation, as well as the clinical and scientific bases for our conclusions, within a conceptually logical treatment of the various subject matters. However, because of the nature of the field of inquiry, the reader may well be aware of an experiential impact that cannot always be separated from the conceptual knowledge. This points to a particular quality of the Diamond knowledge: it is an experiential knowledge that is immediate and intimately human, but which can be elaborated conceptually. appr. 21,- € - ISBN: 9780936713069 - HIER können Sie bestellen / You can order HERE. appr. 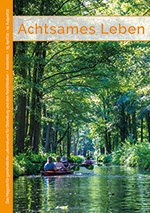 34,- € - ISBN: 9780936713021 - HIER können Sie bestellen / You can order HERE. Transformation of Narcissism in Self-Realization - The Point of Existence describes the underlying spiritual basis for the common understanding of narcissism, which is the experience of a disturbance in the inner sense of self and the resulting need for constant reflection from the outside. This vulnerability in the inner experience of identity arises out of a basic separation from the essential presence which is the source of a true sense of self. appr. 38,- € - ISBN: 9780936713090 - HIER können Sie bestellen / You can order HERE.